Jurisdiction is a legal term for whether a court will listen to your case and make a decision about the issues or not. Figuring out that a court does not have jurisdiction can be a frustrating and costly process, especially if it is not done before filing or early in the case. Divorce and custody jurisdiction laws vary throughout the United States and which court has jurisdiction can be determined based on the residences or location of the people, property, or specific thing that the case is about. Every situation is different so if you are unsure what state has jurisdiction it is best to contact an attorney who can advise you on your case specifically. To give you an idea of how complex these issues can be, a few examples of whether Nevada would exercise jurisdiction are discussed below. Mom and Dad are married and have lived in Nevada for several years with their three children. Neither party has filed for divorce yet but Mom intends to start a case. Where should Mom file? Nevada is one of the several states that have adopted the Uniform Child Custody Jurisdiction and Enforcement Act, better known as the UCCJEA. This Act states that where no court has made a ruling as to the custody of the children previously, the place where the children resided for the last six continuous months prior to filing would have custody. Here, because the children resided for the last continuous six months in Nevada, Nevada would have the jurisdiction in order to hear and make decisions about the children and the case. Nevada also has jurisdiction to hear the divorce issues in this case. Because Mom and Dad are both residents of Nevada, Nevada would have the ability to hear their divorce case and determine property and debt issues as well as any other divorce claims that either makes. Based on these facts, it is probably best that Mom file her case in Nevada. Mom and Dad were married and lived in California together with their two children. More than six months ago, Mom moved to Nevada with the parties’ children and Dad remained in California. Eventually Dad moved to Nevada for employment purposes however, after two months he was fired and returned to California. Where should Mom file the divorce/custody action? As stated, per the UCCJEA, Nevada would have jurisdiction over the custody issues in this matter based on the fact that the children have resided in Nevada for the past six months. 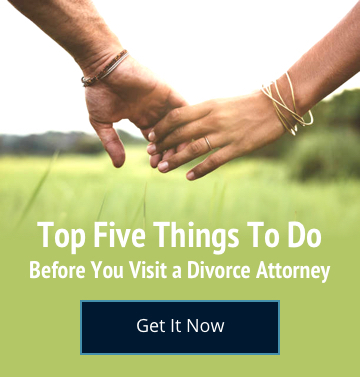 Moreover, because no action has been filed anywhere else for divorce, it is usually more cost effective to fight the custody and divorce battle in the same court so that you don’t have to pay attorneys in both states to fight about overlapping issues. Accordingly, in this situation because Nevada does have jurisdiction over both issues, it likely makes sense for Mom to file a divorce and custody action in Nevada. Mom and Dad were married and lived in Arizona with their two children. The parties agree that Mom will move to Nevada with the children, however two months after moving, Dad files a divorce and custody action in Arizona. The parties’ own over $200,000 in net assets and debts. Mom is a stay at home mother and Dad is employed as a Physician’s Assistant. Should Mom file for divorce/custody in Nevada or file an answer to the Arizona case? Here, absent any other facts, Nevada would not have jurisdiction to hear the custody case over the children. The children have not lived in Nevada for the last six continuous months and so Nevada courts would typically be unable to make any rulings about their care or custody as detailed in Situation 1. As to the divorce, Nevada would have the ability to hear the divorce case but it is a question of whether it would be worth it for Mom to file in Nevada for a divorce only. Nevada has jurisdiction to hear a divorce case where one party resides in the state for six continuous weeks preceding the filing for divorce and intends to make the state of Nevada their home going forward. Because Mom has been in Nevada and because she intends to remain in Nevada, Mom could attempt to file for divorce in Nevada. However, this would mean that Mom would be fighting Arizona’s jurisdiction of the divorce there, dealing with the custody issues in Arizona and then attempting to get the divorce action heard in Nevada. Only in rare circumstances is this a useful or cost effective option. Accordingly, it would likely be best if Mom simply responds to the Arizona case. Husband and Wife have no children and live in Colorado. They have been married for 20 years and Husband is receiving a military pension as well as income from a current job. Wife moves to Nevada and 6 weeks later files for divorce. She wants to divide assets, debts and receive alimony. Husband has never resided in Nevada and has no business or other connections with Nevada. Did Wife choose the right jurisdiction for the divorce? Here, Nevada does have jurisdiction over the divorce because Wife has lived in Nevada for six weeks immediately preceding the filing, however, this is not the only consideration. Because Husband does not live in Nevada and because he is the party who will respond to the action, he has the ability to determine that he does not want to fight the action in Nevada. Here, we don’t know if Husband will contest hearing the case in Nevada but if he does, Wife has wasted precious time and money in attempting to proceed in Nevada. This is a gamble that is worth it to some and not to others. The other consideration that Wife must look at is the difference in the laws. Every state has different rules and regulations on how assets and debts are divided as well as whether and when someone is entitled to alimony. Wife should determine if either Colorado or Nevada’s laws are different enough to provide an advantage to her in either place. As stated, the jurisdiction laws are complex, varying widely throughout the United States and can hinge on the smallest of facts as detailed above. If you have a question about the jurisdiction in your situation, please call the attorneys at Steinberg Law Group to set up a consultation at (702) 384-9664.